"Social Capital" is the fancy psycho-babble term for friendship: the amount of positive social connection we have in our lives. Regular positive social interaction is vital to our physical and emotional wellbeing. Yet in the past thirty-five years it has been plummeting. Your mother was right: who you hang out with, and where, is of vital importance to who you can become and how you will experience yourself. What our mothers could not have predicted was the disturbing decline in "live" friendship and wholesome human interaction that has been happening these past decades. Sorry folks, cyber friends simply do not have the same health and happiness effects as regular, real-life positive social connection. The internet can be a powerful way to discover each other, but it is not a substitute for "live presence" and community engagement. Positive Social Connection is Strategy of the Spirit #8. Some of the most rewarding work I have done in the past 20 years as a psychotherapist has been facilitating positive social connection through SoulCollage groups, study groups, a creativity club, encouragement team, etc. 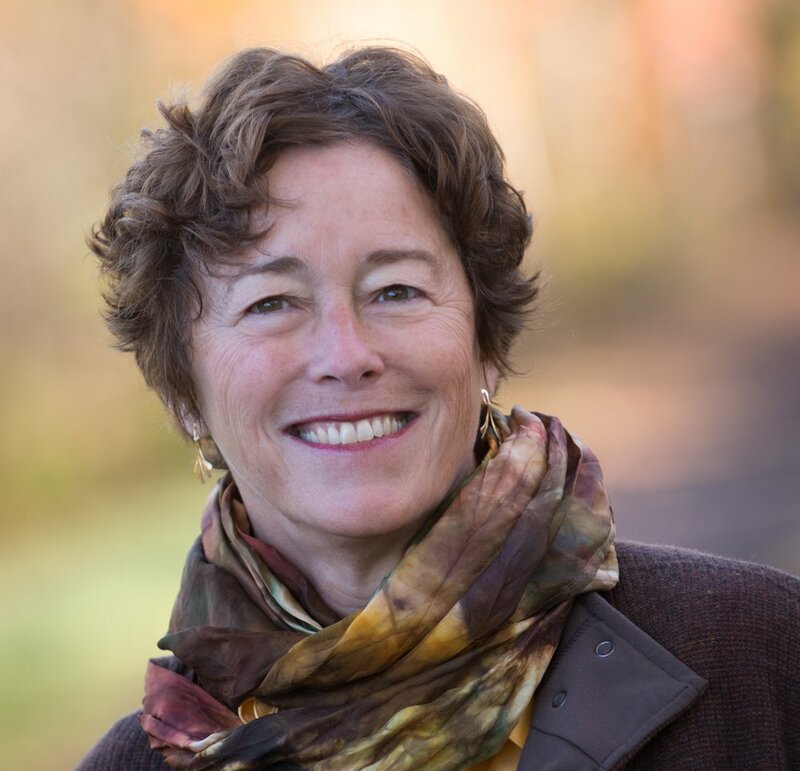 The role of a psychotherapist can be much more than simply addressing dysfunction. We can lead people to share their best selves and foster healthy community connection. This is what I intend to focus on in the next decade. "We must learn to view the world through a social capital lens. We need to look at front porches as crime fighting tools, treat picnics as public health efforts and see choral groups as occasions of democracy." Lew Feldstein of the New Hampshire Charitable Foundation and co-chair of the Saguaro Seminar. What is your favorite way to connect with others? What are the obstacles to doing so? 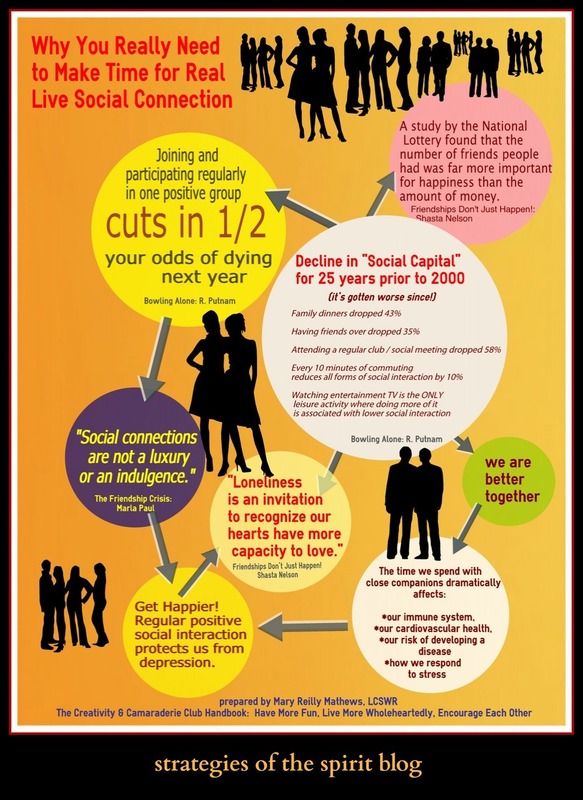 What might you do to increase your "social capital" in 2014? Have you considered a Creativity & Camaraderie Club?